Eeeeevil Jooooooooooo takes over as the UK’s Chief Justice. The Quranimals moving to take over the old sod are gonna schmitte in their knickers. David Neuberger, also known as Lord Neuberger in the United Kingdom, has been confirmed as the next head of the Supreme Court in the UK. 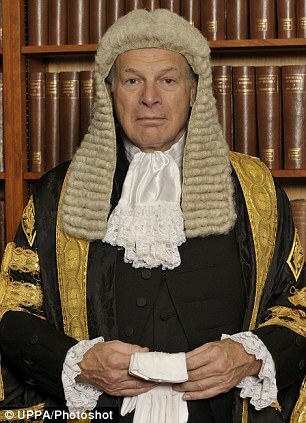 Educated at Oxford, Neuberger, 64, was called to the bar in 1974, became a Chancery division judge in 1966 and an Appeal Court judge in 2007. Two years later he was named Master of the Rolls. Neuberger is also the nephew of Rabbi Herman Neuberger, who was influential in saving almost 60,000 Persian Jews from persecution in Iran following the Islamic Revolution of 1979. “I will do my best to ensure that it continues to play its proper role in upholding the rule of law, and applying and developing the law in a coherent and principled and practical way, appropriate for today’s world,” David Neuberger said. Mazel Tov, Lord Neuberger ! This entry was posted on Sunday, July 15th, 2012 at 04:01 and is filed under Main Postings. You can follow any responses to this entry through the RSS 2.0 feed. You can leave a response, or trackback from your own site.